After over 2 weeks in both San Francisco and Los Angeles, we were heading back. We picked up the car from our hotel in Seattle (flew into Sea-Tac) and drove North on the I-5 on our way to home-sweet-home. Like almost every other time when we have been away for a significant amount of time, the only thing we had our minds was Chinese comfort food. Yes, that meant wonton noodles and congee. 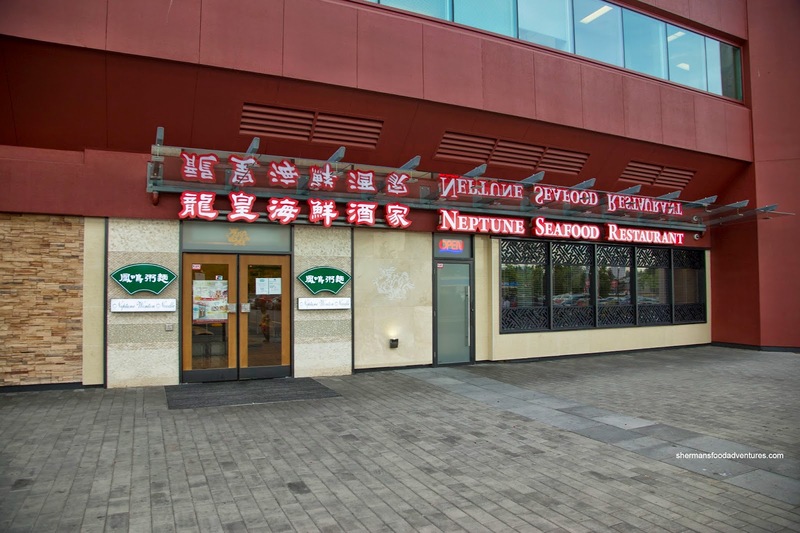 Hence, we cut through Surrey and stopped at Neptune Wonton Noodle. 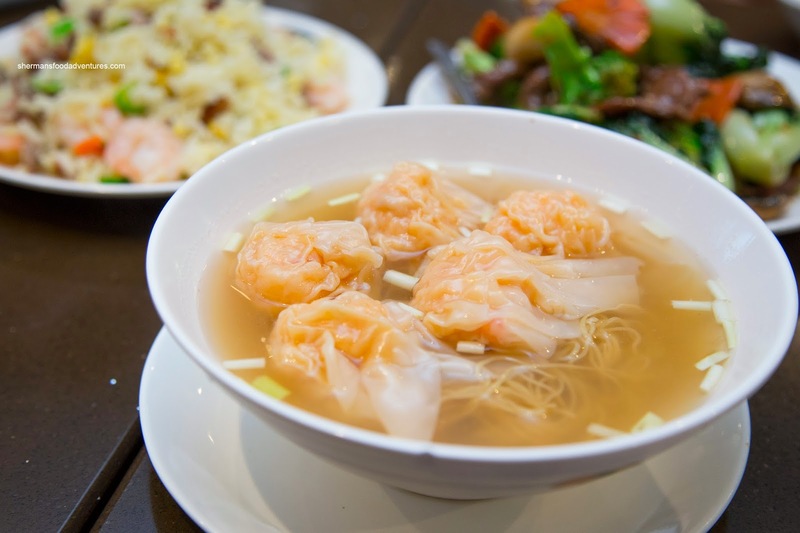 Sporting large, whole shrimp wontons, the Wonton Noodle looked legit. 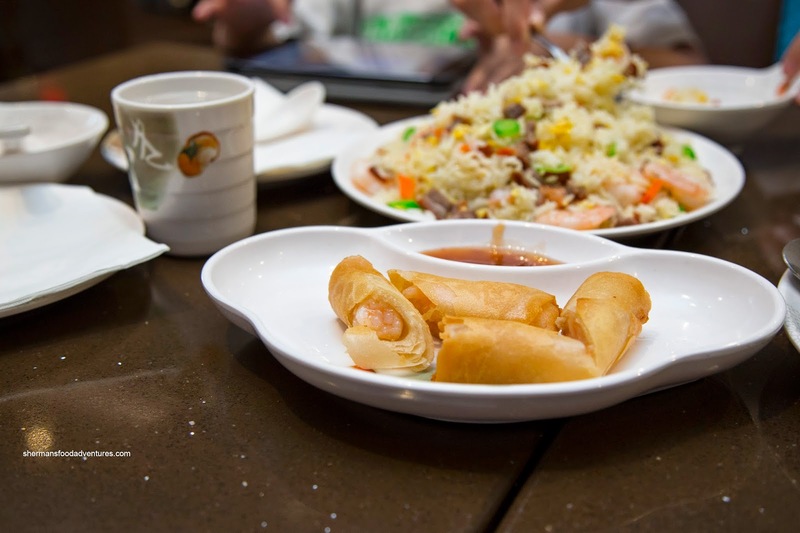 Much like their Richmond location, the wontons were large and exhibited a buttery snap. It was quite shrimpy-tasting with the seasoning leaning more towards the sweeter side. As for the noodles, they were somewhat toothsome, but were mostly soft. The soup was the weak point as it was pretty bland with a nice aroma, but not enough seasoning. 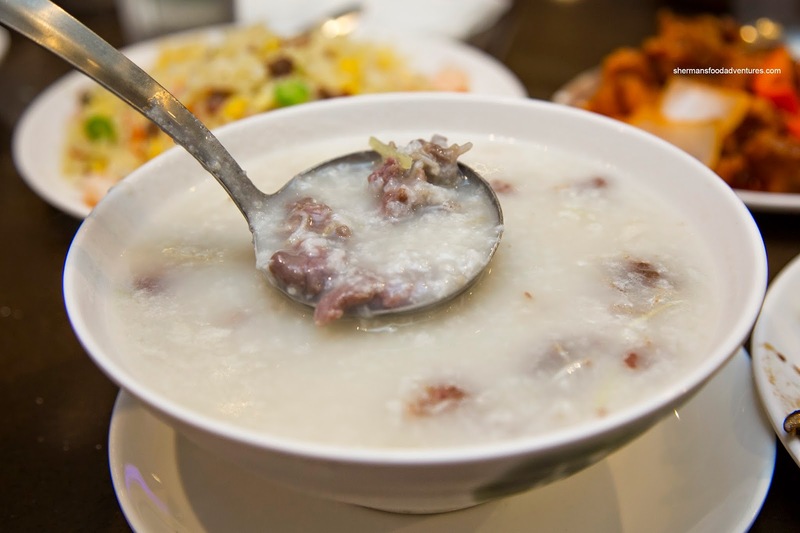 The Beef Congee was a total disappointment as it was watery from the start. Naturally, it didn't improve as we ate it, hence becoming more of a rice soup. The diced beef was not bad though with a relatively moist texture while being well-seasoned. We also got their Dinner for 2 that started off with Shrimp Spring Rolls. With a golden crunchy exterior giving way to whole pieces of crunchy shrimp, this was a surprising addition since we normally see only the veggie or pork version in set meals. We particularly liked the abundance of garlic as well. Next up was the Sweet & Sour Pork which featured re-fried pork that was on the slightly drier side. We liked how there was very few fatty pieces in the mix though. We thought the sauce had a nice consistency and colour, but it was far too sweet. There needed to be more vinegar for balance. However, we could taste the peppers which gave some variation. The Beef with Mixed Vegetables was a pretty hearty offering with lots of tender beef slices. 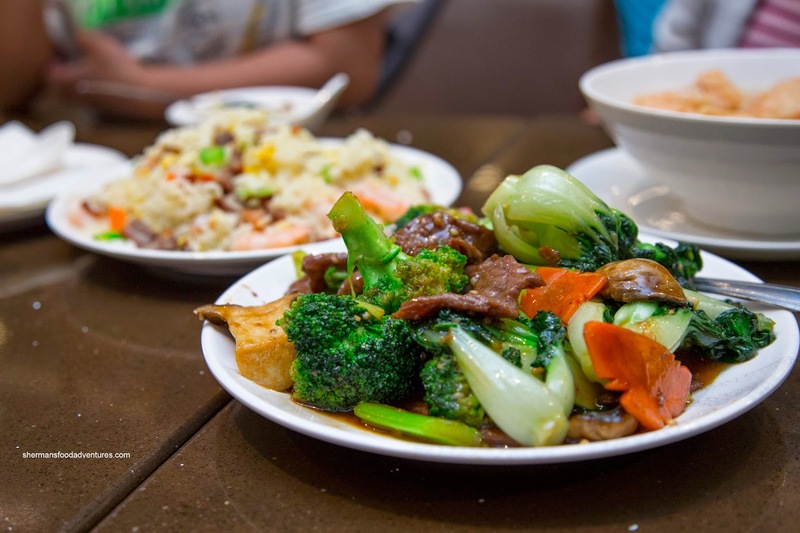 We felt that the broccoli, baby back choy, carrots, celery and mushrooms to be nicely wok fried where they still had some crunch. Too bad the sauce was overly salty as it weakened what would've been a good dish. 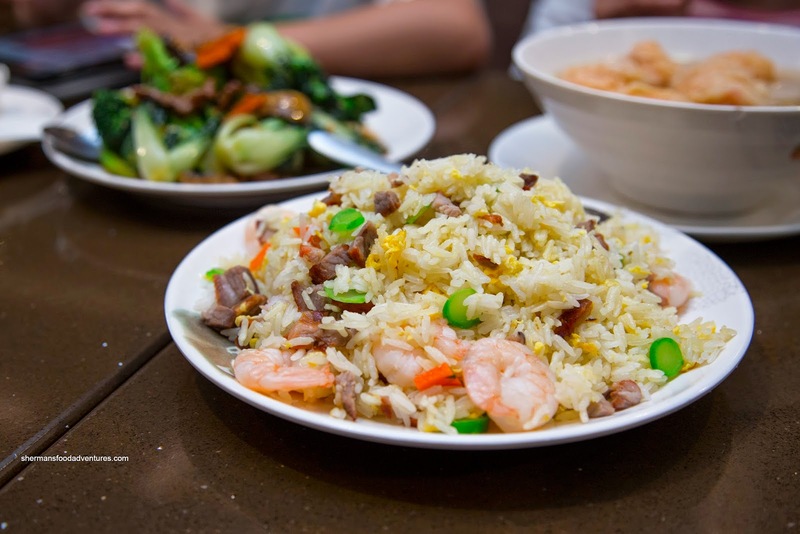 Lastly, we had the BBQ Pork & Shrimp Fried Rice which was the beneficiary of good wok heat. The rice was chewy and nutty without being too greasy. It was well-seasoned and accented by big crunchy shrimp, lots of meaty BBQ pork and veggies. 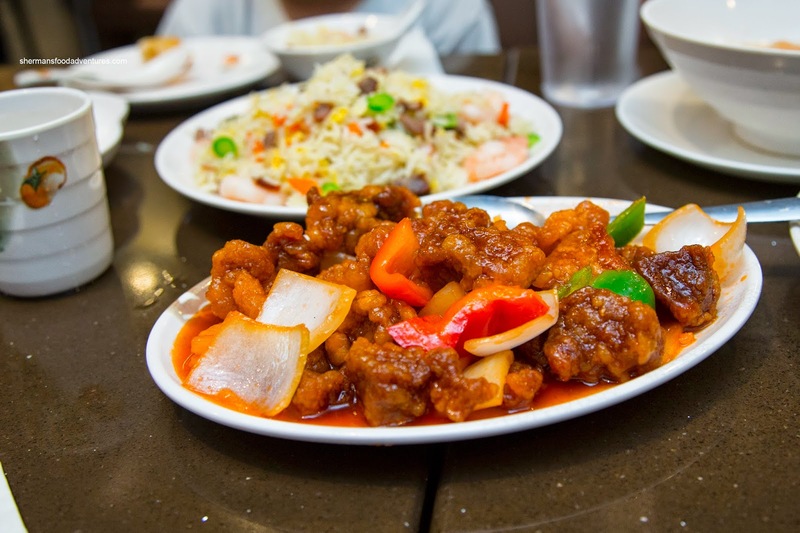 As much as there were issues with some of the dishes, the food was a relief since we hadn't had a sniff of real Chinese food in awhile. However, that still doesn't mean the food was good enough in general.